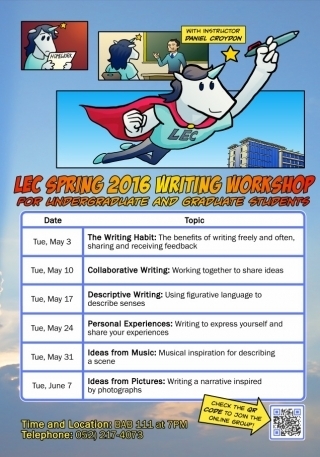 The 2016 LEC Spring Writing Workshop will be held at UNIST every Tuesday from May 3rd to June 7th, 2016. In these writing workshops, you will focus on a particular aspect of writing, and work in small groups to review and develop your draft assignment. Please check the QR Code to join the online group!